Quote Reply Topic: STR-11 Crossram ? casting. No STR 11 cast into it by the front Edelbrock. 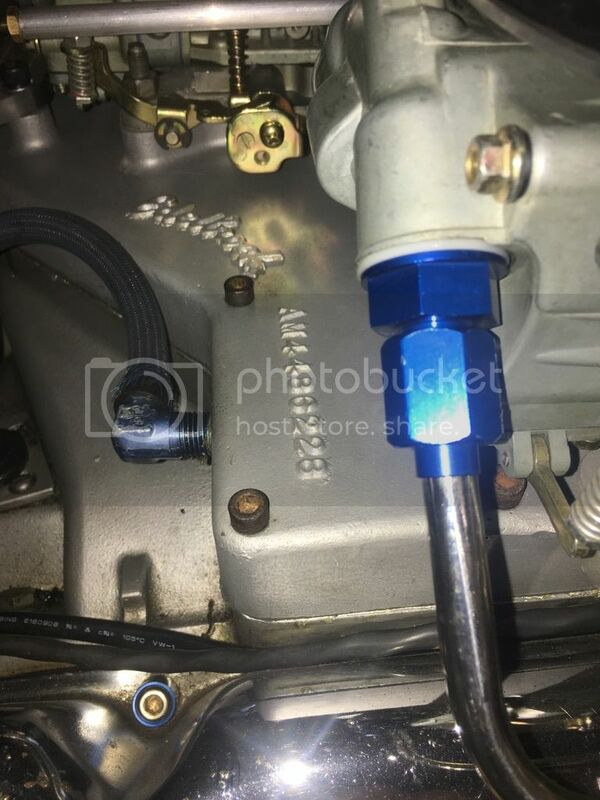 Also on my intake see pic below, the area by the accelerator pump arm has no clearance cast into top for both carbs, as all the other intakes I've seen have . The bolt under the drivers side front float bowl is counter bored and not cast open like the newer ones. I Don't think I've seen another top like mine. Has anybody else ? Also don't have the post count to post in the Ebay section , but the Canadian intake is also cracked by the driver side carb, rear inside stud. I have a crack in the same spot. I know that some of the early Group 19 parts, especially the ones that would be homolgamation parts for racing, did not have the manufacturer's name or part numbers on them. Apparently AMC thought that was important for homolgamation because of a mis-understanding of the rules. Is yours different than this one?? 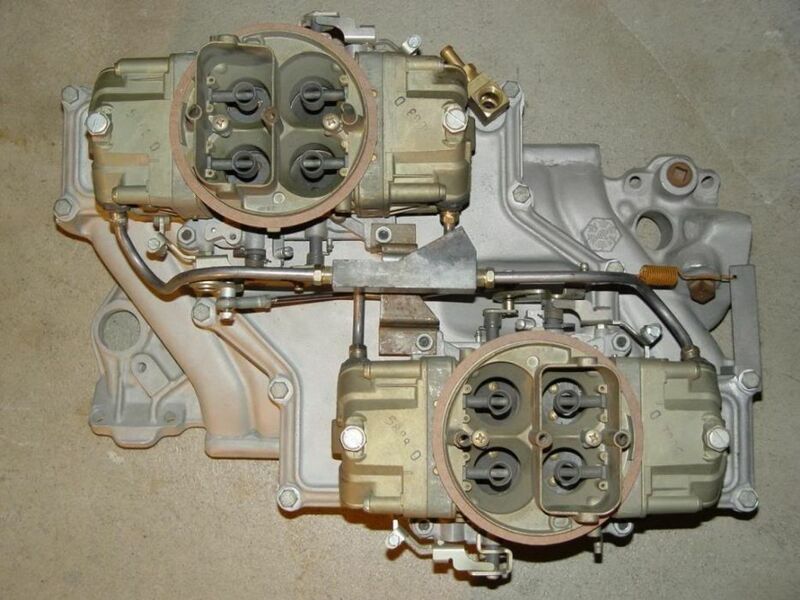 Yes, Look at the 1st picture under the accelerator pump. 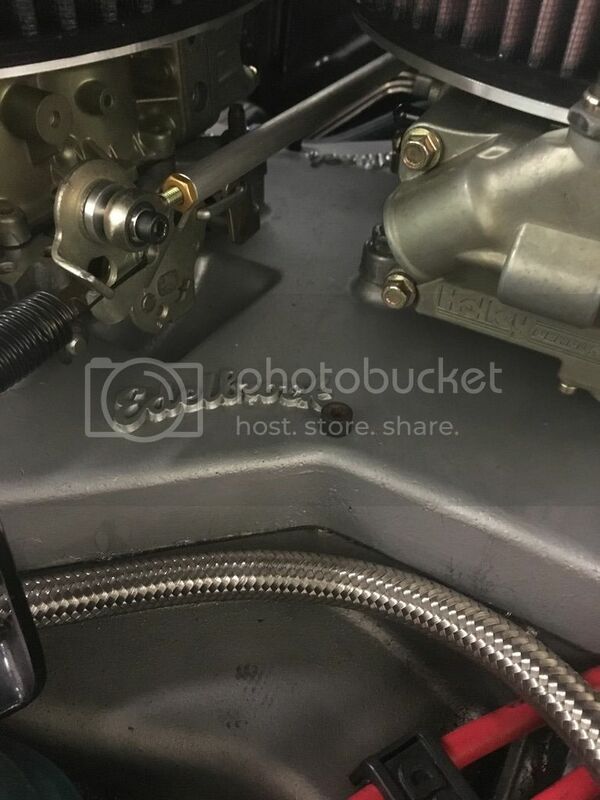 it seems they added clearance for the arm of the accelerator pump and recessed it deeper for the bolt also on the driver side. Possibly to clear a 50 CC Pump arm ? 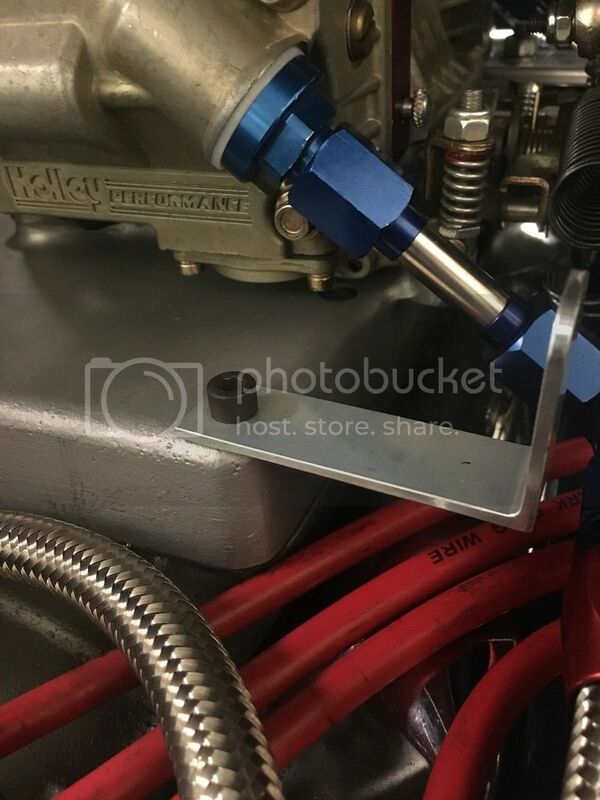 with a "Rear Central D/S Carb Bellcrank Relief Pocket"
to accommodate the Driver's Side Carb facing "backwards"
which may provide "more symmetrical mixture distribution"
and "compact" central location of Linkages & Fuel Lines ? 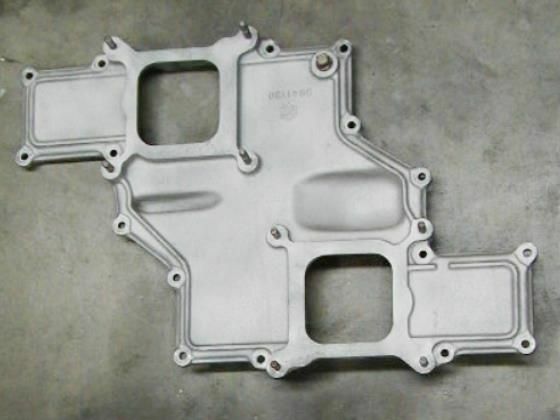 Was or is there a reason Edelbrock did not on the AMC CrossRam ? <font size="2" face="Verdana, Arial, Helvetica, sans-serif">with a "Rear Central D/S Carb Bellcrank Relief Pocket"
<font size="2" face="Verdana, Arial, Helvetica, sans-serif">to accommodate the Driver's Side Carb facing "backwards"
<font size="2" face="Verdana, Arial, Helvetica, sans-serif">which may provide "more symmetrical mixture distribution"
<font size="2" style="">and "compact" central location of Linkages & Fuel Lines <font size="3" style="">? <font face="Verdana, Arial, Helvetica, sans-serif" size="2">Was or is there a reason Edelbrock did not on the AMC CrossRam ? It could have been made that way back in the day if that had been proven to be a better design or if that was what AMC or the race teams back then had asked for. One of the guy's who could probably answer that question retired from Edelbrock earlier this year, and the other person (Vic Edelbrock) passed away in 2017.